Turn the tide against plastic. These are all important statements, and statements that are being said more and more with each passing day. The fight to save our oceans against increasing plastic pollution is growing in importance. People have come to realise that yes, just one person’s actions can make a difference. According to the UN Environment each year eight million tonnes of plastic leaks into the ocean. By 2050 an estimated 99% of seabirds will have ingested plastic. Saying no to plastic straws, bringing reusable mugs to cafes, refilling your sports bottle as opposed to buying single use water bottles are all ways we can take action. Here at the NMCI we have just ordered our latest GAC Training & Service Solutions (GTSS) sports bottles and thermal cups for our team. 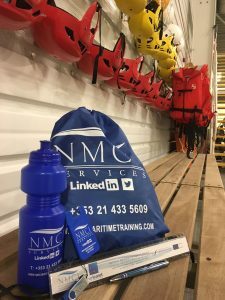 Subscribe to our quarterly NMCI Services newsletter below and be in with a chance of winning an NMCI goodie bag, complete with the GTSS sports bottle and thermal cup! 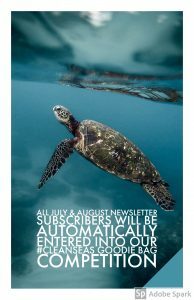 All new subscribers for July and August will be entered into the competition. If you didn’t re-opt in to our newsletter following our GDPR email notification (we know, we were one of many emails received in May!) then please do subscribe again so you don’t miss out on our latest news and future competitions. Sign up to #CleanSeas and make your pledge to reduce plastic pollution today. 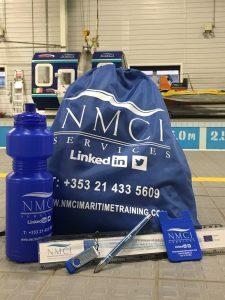 Would you like to get your hands on this great bag of NMCI goodies? Sign up to our newsletter this January and be in with the chance of winning an NMCI bag, memory stick, phone card wallet, ruler, pen and water bottle. The lucky winner will be announced on January 31st. But don’t worry if you don’t win this month, as a newsletter subscriber we’ll continue to offer you exclusive discounts and competitions in our newsletters so there’s plenty of chances to win in 2018.